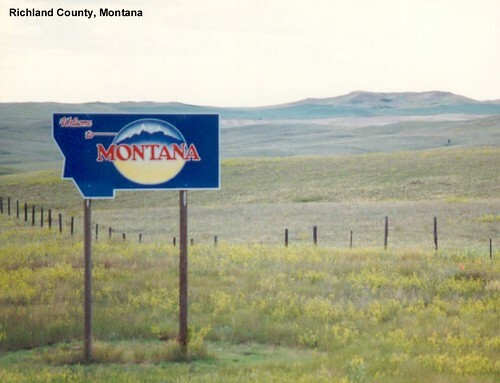 US 2 begins its long journey across Montana. 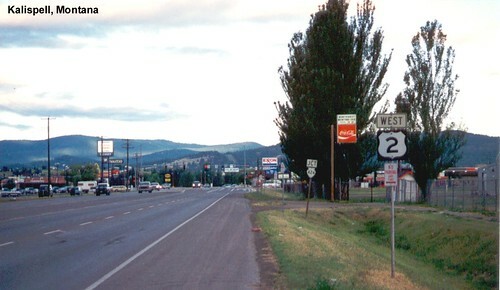 US 2 crosses MT-16 in Culbertson. 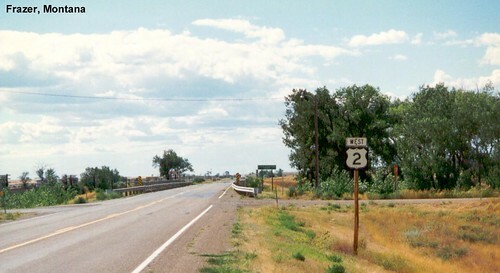 US 2 in Frazer, Montana. 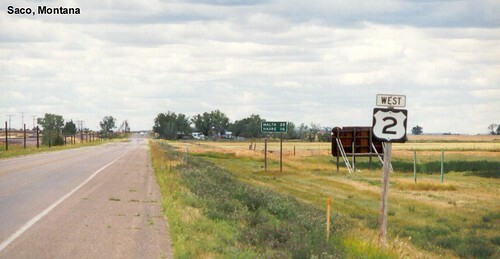 The journey across US 2 in eastern Montana is a long one. 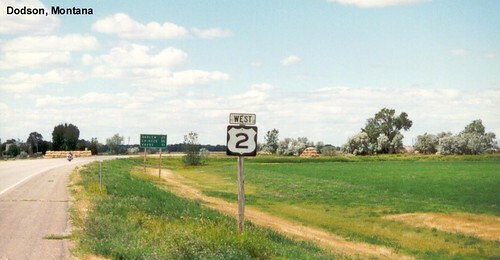 US 2 as it heads west from Saco. We see miles of flat farmland in eastern Montana. More fields as US 2 heads west out of Dodson. I spent the night in Havre on my first trip on US 2. More farms as we ride through Liberty County. 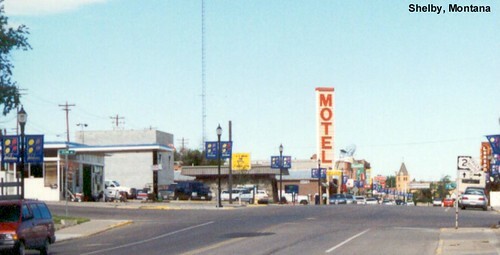 US 2 passing through Shelby. 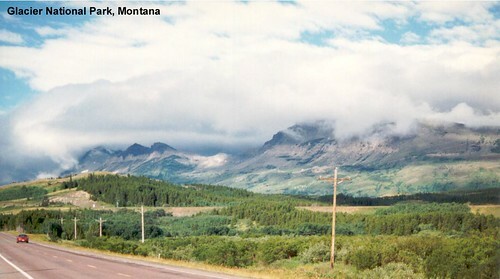 As US 2 passes through Browning the mountains ahead are clearly visible. 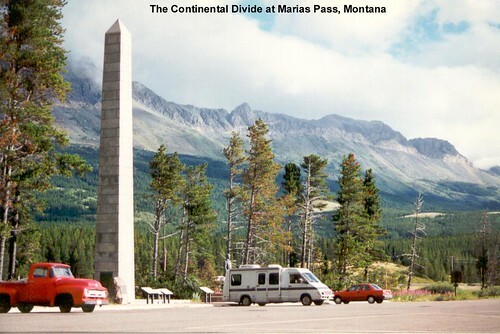 We encountered snow on the first trip over Marias Pass (in June), but much better weather on the trip when the above picture was taken. Some nice scenery on this section of US 2. 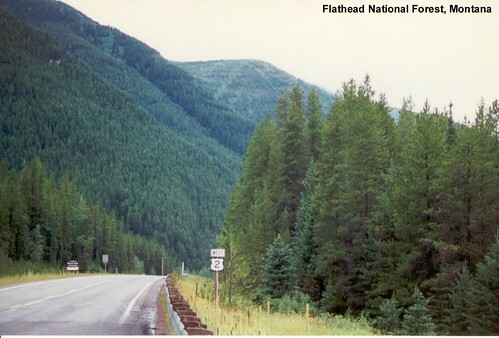 US 2 winds through the mountains in Flathead County. 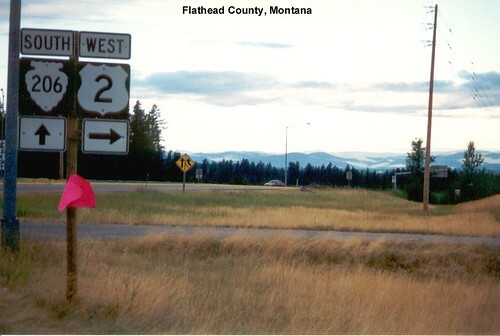 US 2 heading west in Flathead County. 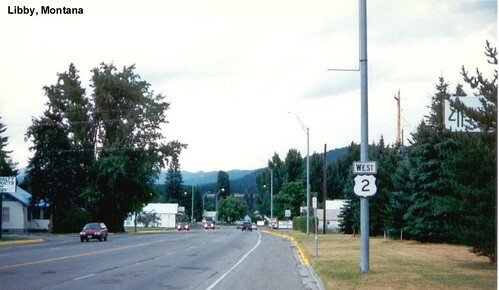 US 2 in Kalispell. 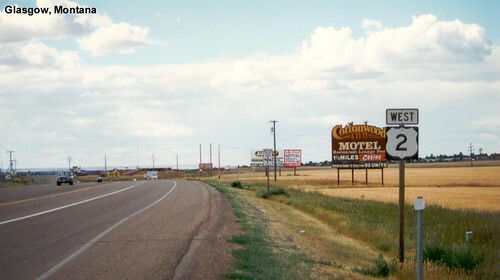 I spent the night in Kalispell on the trip when these photos were taken.